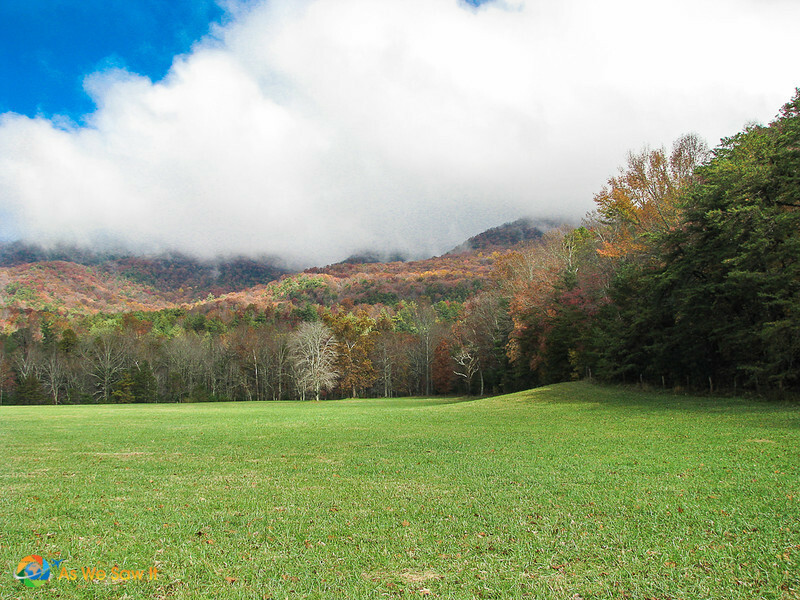 Visit the Great Smoky Mountains National Park in the fall and you will see incredible autumn color in its mountains and fields. 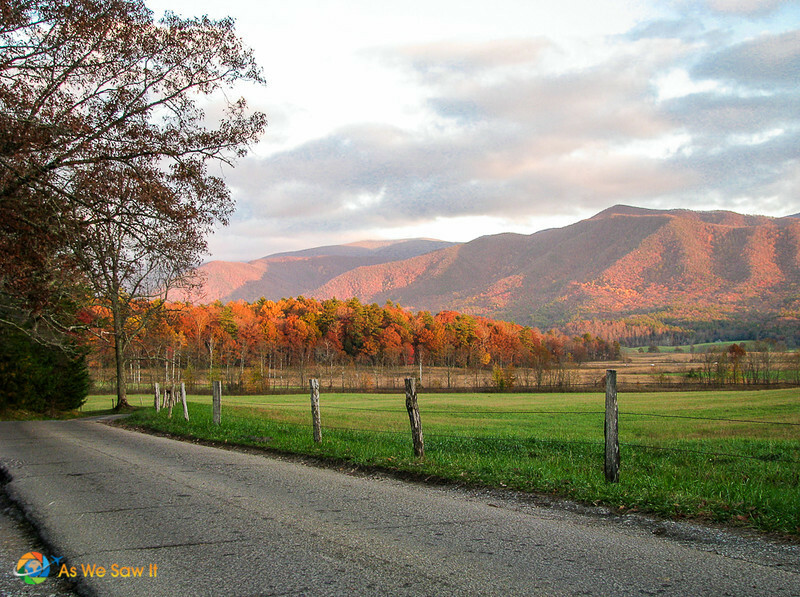 While you're in the Park, be sure to look for the side road to Cades Cove as well. 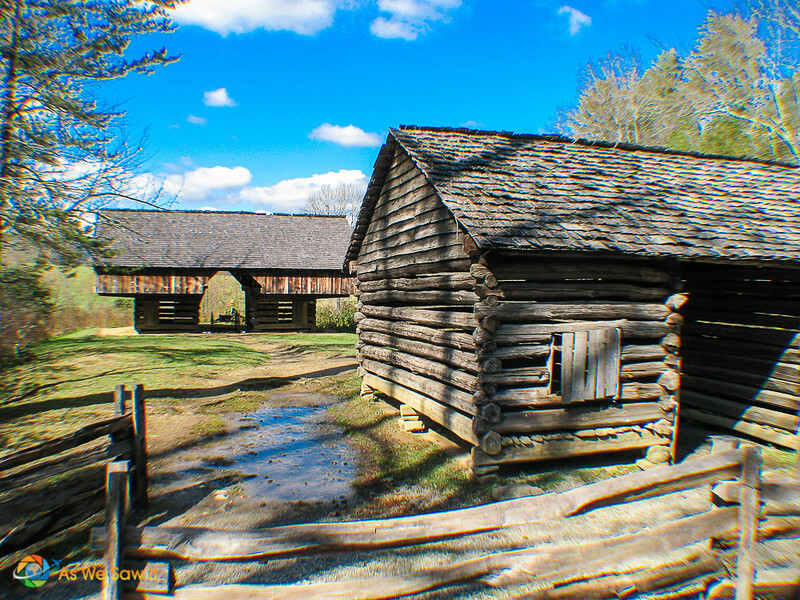 Cades Cove is a special part of early-1800s Americana, now listed on the National Register of Historic Places. 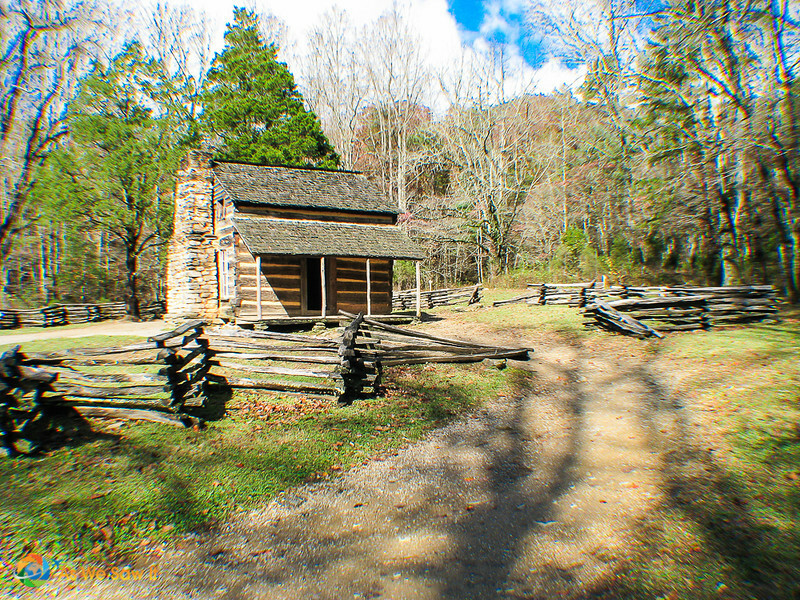 If you couple its rustic homesteads and well-preserved churches with the beautiful mountain views the early settlers also enjoyed, it's probably the most popular destination in the entire park. 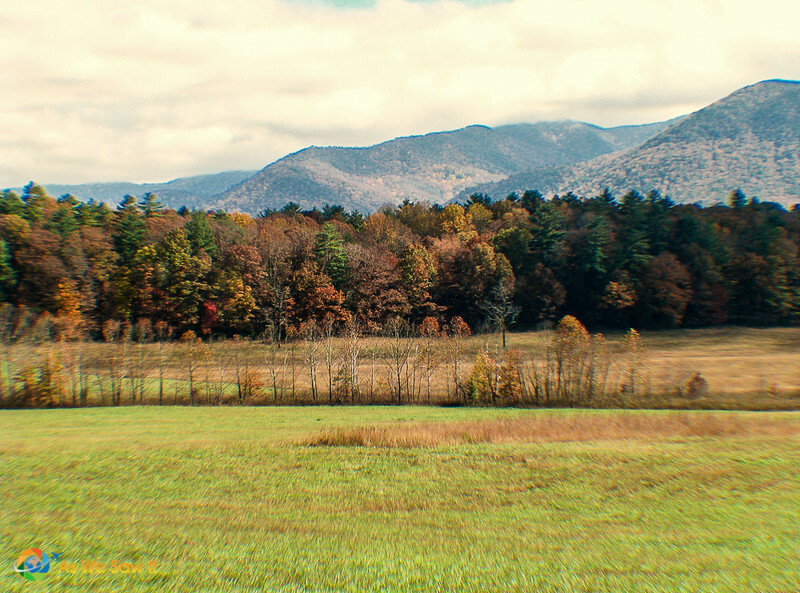 Here's our Cades Cove photo essay, our story-in-photos of this unique place, its autumn color display, abundant wildlife and few visitors. Winding through the cove as the sun sets on a day and a season, nature explodes in the full array of colors while a few visitors share the views with deer and turkeys. Clouds hang low. The grass still green, but the fall colors are exploding like fireworks displayed from tree to tree. 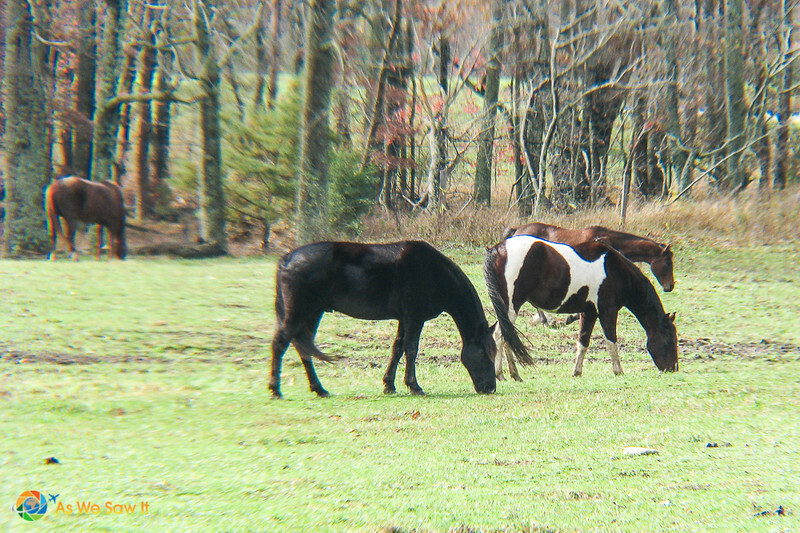 Horses enjoy the last of the greens, basking is the waning warmth of the sun. This historic house welcomes in yet another fall season, just one of many from times past. 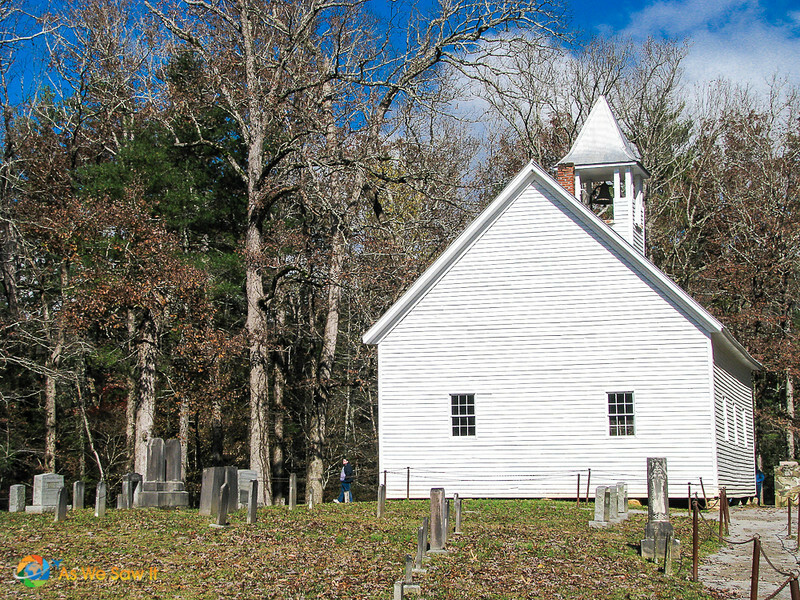 Cades Cove Primitive Baptist Church (established June 16, 1827) glows a brilliant white against the autumn backdrop, retired from its years of service to the community. 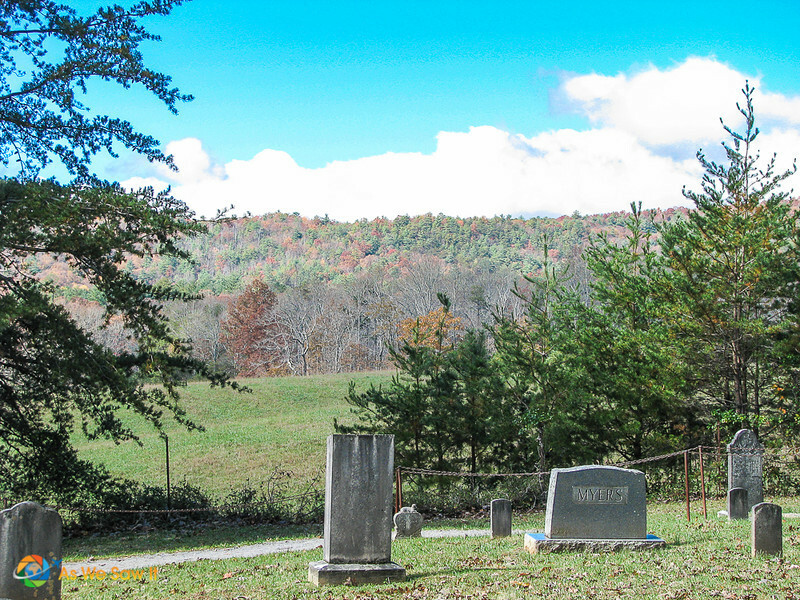 A cemetery at the back of Cades Cove Primitive Baptist Church houses those who have seen their last autumn. Now they rest as time moves on without them. 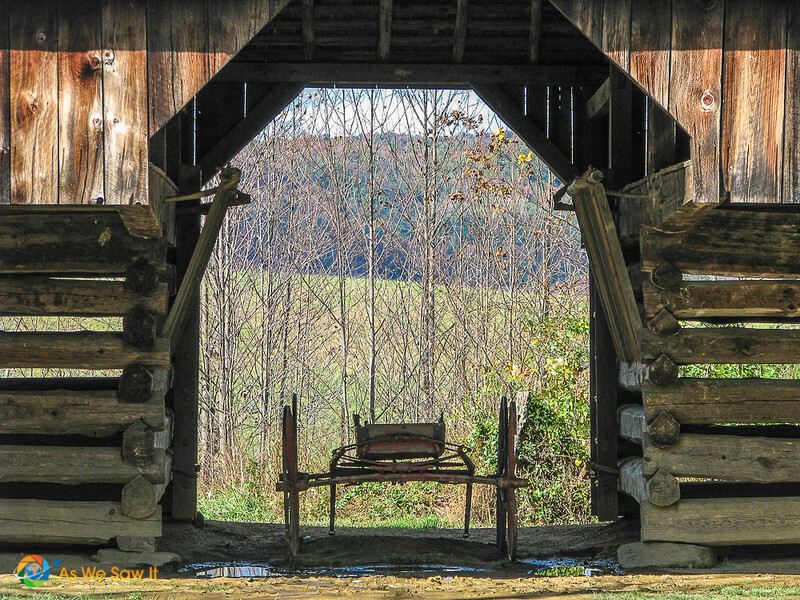 Barns that were once built to protect livestock from the coming winter now stand as monuments to times when hay was stored for feed. A once-treasured wagon rests from its years of carrying horses and riders, finally enjoying peace and a few visitors from time to time. 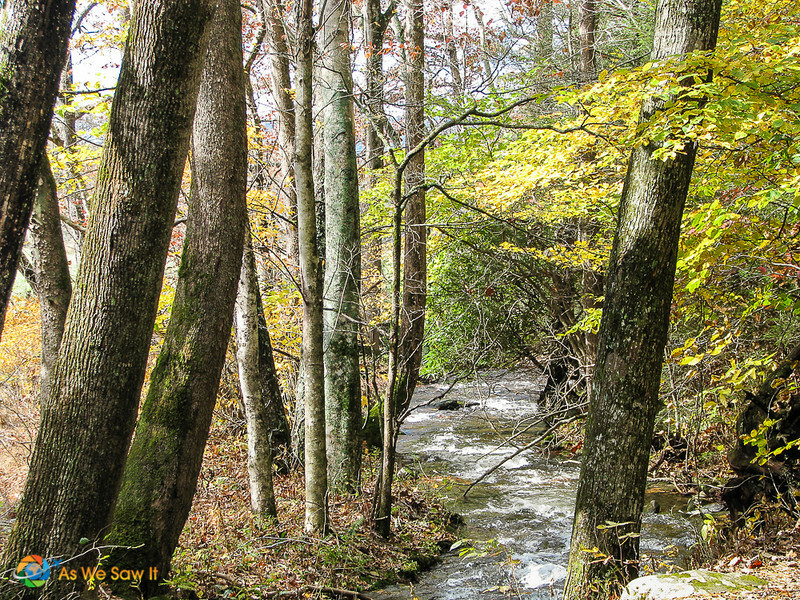 Creeks carry fallen leaves off the mountains. The leaves have finally lost their summer cloak of green and now show their true colors. 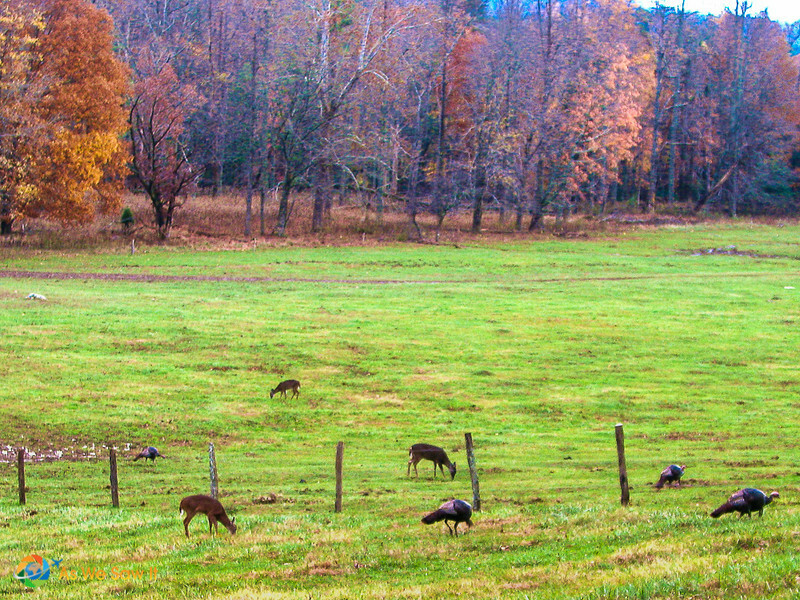 Turkeys and deer come out from their daytime hiding spaces in the nearby woods to feast on the leftovers of summer's production of greens. One last hunt before becoming the hunted. 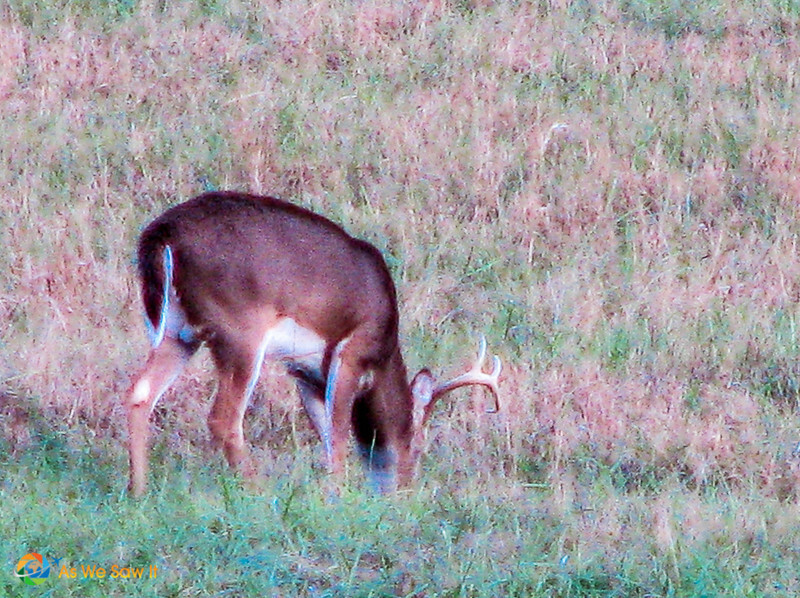 A lone buck displays his 7-pointed crown as he joins his harem of does feasting on remaining grass. The reds and oranges in the setting sun enhance the cove's autumn hues. This is the essence of autumn in the air. Roads empty and peace descends as darkness begins to take over Cade's Cove. 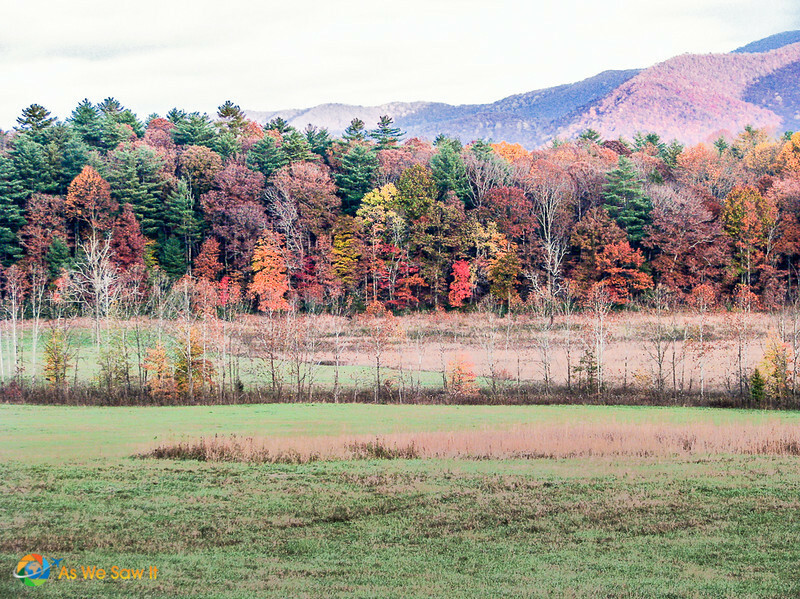 Green pines create a patchwork with autumn's reds, yellows and oranges in the Great Smoky Mountains in Tennessee. The brilliant display beckons us and we can't resist capturing a few more shots of color as we work our way out. 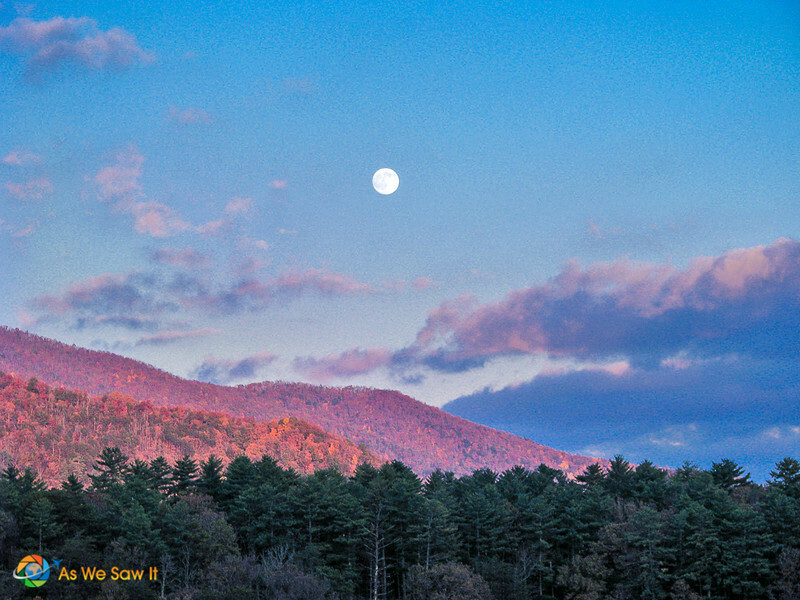 A final look over our shoulders as we bid goodbye to Cades Cove's warm fall color display. Cold is approaching in the next few weeks. 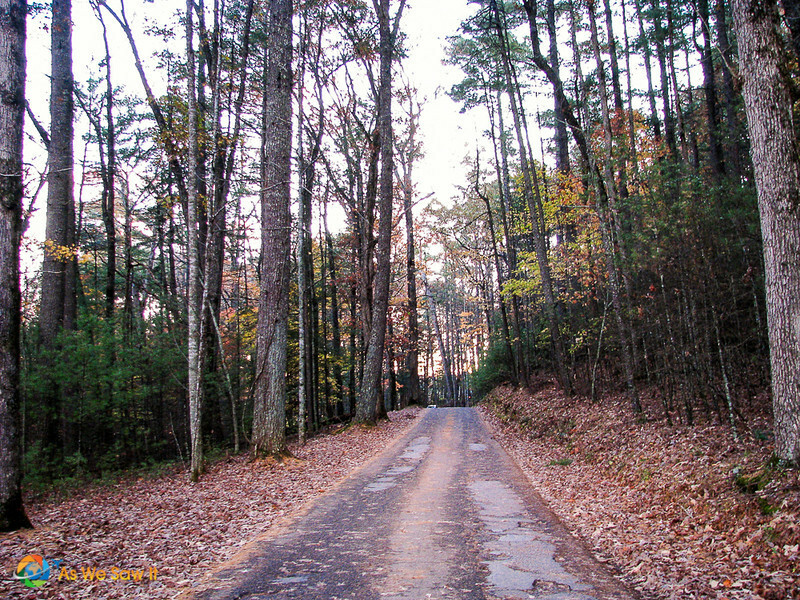 The road out of Cade's Cove leads on. Soon the whites of winter will appear, blanketing the last remaining vestiges of the year until they thaw and bring new life to the valley. 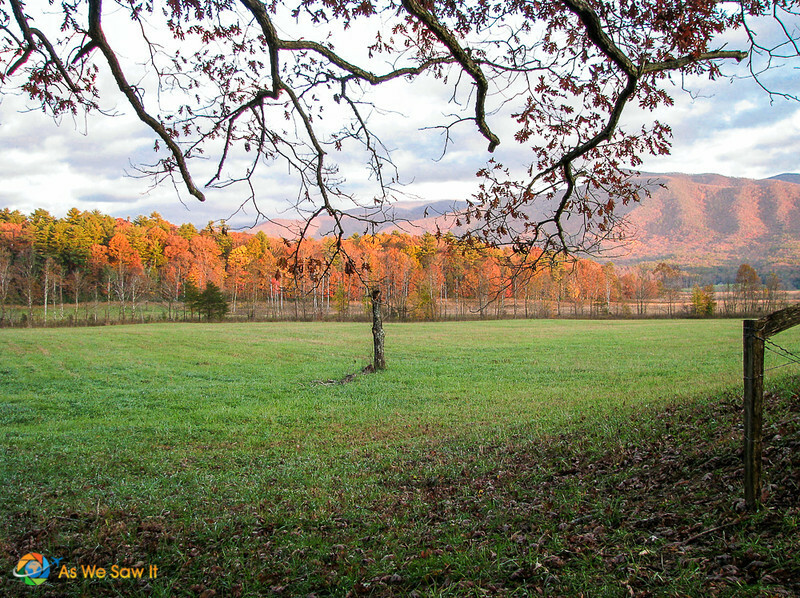 Cades Cove is in Great Smoky Mountains National Park, Tennessee. Enter the park from Gatlinburg, Tennessee, via Highway 441. The Cades Cove turnoff is well marked. Watch for the Visitor Center. If you enjoyed this photo essay, we also recommend Lisbon Portugal in Pictures. So beautiful and colorful! I love the outdoor scenery, amazing! We enjoyed living near there. It’s such a beautiful part of America. Such a beautiful place! I first went to Cades Cove with friends from West Virginia, did a camping trip. I saw my first bear down in Tennessee! (I come from Australia) Just loved the place and want to go back sometime with my family. Maybe late next year.. never do know! Hope you can go again. If you go in the autumn you may be able to enjoy the leaf change. That’s one of the prettiest times of the year. Beautiful set of photos! Autumn really beautifies a place. 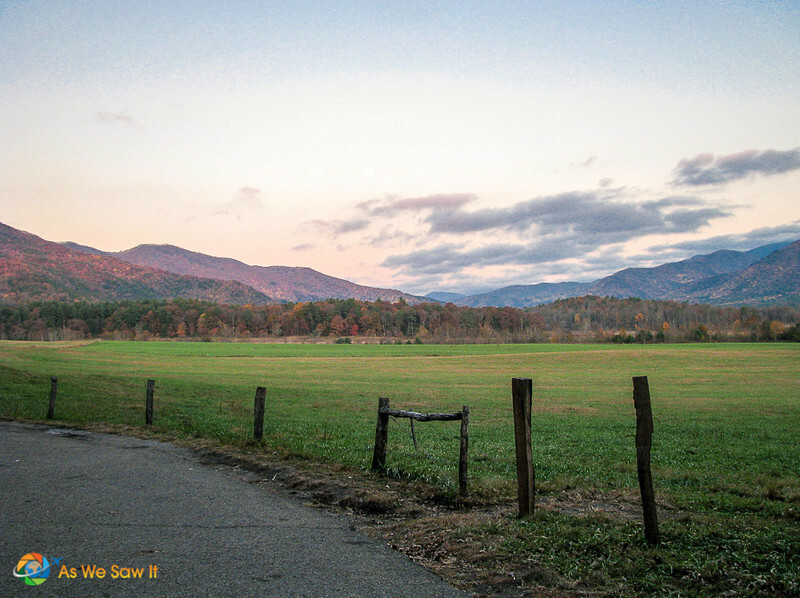 I wish I could get to visit Cades cove. There’s nothing like autumn for color, that’s for sure!